Cats Protection is commending the teachers and pupils of Squirrels Heath Infant School after they helped care for a sick cat. 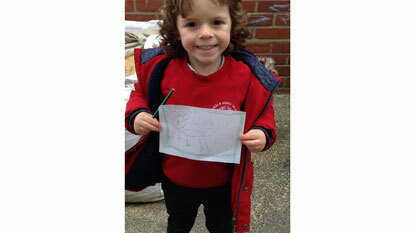 The cat wandered into the playground, where the children were playing, on Thursday 10 January. Staff decided to keep the cat safe in the school’s playhouse, covering it in a tarpaulin. They quickly called Cats Protection’s Hornchurch & District Branch, who arrived to find the cat in a sorry state. Squirrel, named in recognition of the school, was weak and in such poor health that he put up no fight while being put into a cat carrier. 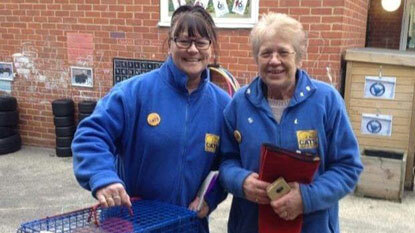 Kathy Edwards and Debbie Priestley, volunteers from the branch, decided to rush him to the vets. 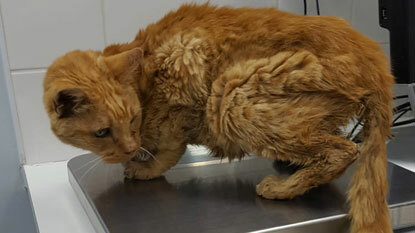 At the vets, it was found that he was severely underweight, making him look a lot older than his estimated age of five years. The examination showed he had two broken teeth and a slight heart murmur. After a short stay at the vets, Kathy is now fostering Squirrel so that he can make a full recovery at her house before finding his forever home. Kathy said: “We cannot thank the children and teachers at Squirrels Heath Infant School enough for acting so quickly and for doing all the right things. Not only did it help Squirrel but it was also great for the children to see how to help a sick and injured animal. Squirrel will soon be ready for homing. If you’d like to adopt him, please call Hornchurch & District Branch on 01708 755 211. If you are a teacher and think that your class could benefit from learning about cat welfare, take a look at our dedicated education website. 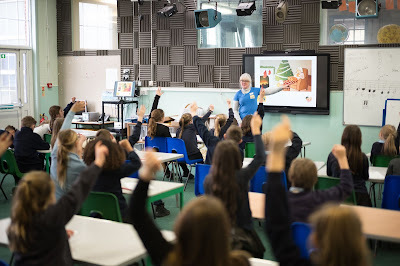 You can book a free talk for your class, or make the most of excellent teaching resources including lesson plans, videos and animations. For kids, there are plenty of games and interactive activities to enjoy.